Mariana Bolaños is a Mexican artist based in Toronto. She has created a diverse body of work in painting, sculpture, and installation. She believes her work should be a trace in the materials respecting their qualities and language. 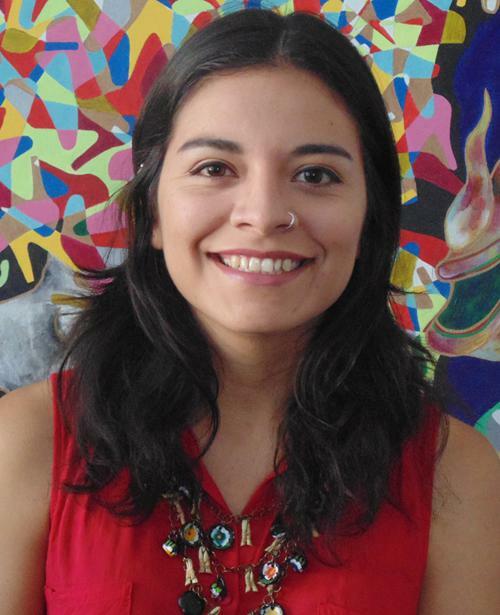 Focusing on art with a social purpose, she has worked as a facilitator in community programs engaging people with disabilities, immigrants, women, and children. She is a collaborator with SickMuse Art Projects. Some of her collective exhibitions include ‘Trust me, I’m an artist‘ at the Toronto Centre for the Arts, ‘Art to the power of 31′, ‘Art and violence‘ and ‘Zona Animal‘. She also participated in residencies such as the 3rd Land Art Festival- “Paricutin” in Mexico and “El evento de Ramon” in Cuba.